Well – what can I say? You all excelled yourselves over the holidays and I don’t mean by eating too many mince pies! The way you all took up the various challenges was brilliant. I know from the comments around that you really enjoyed finishing someone else’s writing and goodness, you took us in completely different directions to the original writers intent. I’m still working my way through them all. Do go and read them ( WEEK #24) If you would like an easier read pop over to Andy’s to go through his excellent compilation – thanks Andy ! I did say that I was using you all to see if it was a possible thing to do with the children. I think the answer to that is probably no given that we get about 150 entries each week! That would mean a full-time job for Andy I think to keep that lot compiled. It has given me another idea though for you all to do later in the new year! For those of you who are new visitors, this is a weekly writing challenge for grown ups. You will be given a prompt and usually permission to use a further 100 words to creative a piece of writing to share. Do read THIS for more details and feel free to contact me with a comment at the bottom or via email if you want more information. Now to this week’s challenge. It was prompted by that man of the hour Andy Relf over at Ventahl Theatre. I think it was a suggestion given to him but anyway it has landed here! It is to write from someone else’s perspective. That can be quite difficult I think to be the third person writing in the first. The prompt is this wonderful photograph lent to me by a great blogger, Gilly Goldsmith. Do go and visit her great blog ‘Lucid Gypsy’. Her photos are brilliant as are her words! 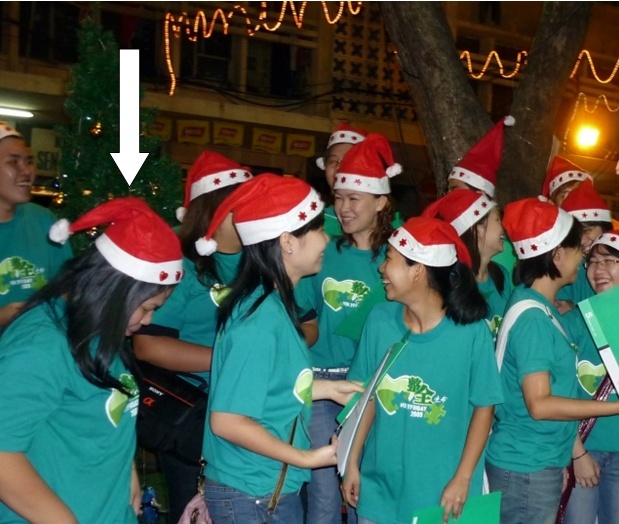 You are to write as the Santa arrowed please. Click here to enter your link and view this Linky Tools list. It will take you to another page but if you tweet me or leave a comment, I’ll transfer it as soon as possible! 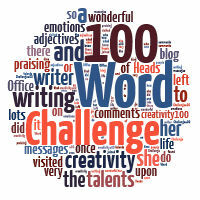 Have fun and welcome to 100 Word Challenge for Grown Ups 2012! You Can’t be a Mother! Stop Looking at the Little Guy! Pingback: Life in Hollywood: Advertising « Does writing excuse watching? ‘Sneak’ by HerMelness. Love this original thinking woman. L-O-V-E.
Pingback: A prayer « Does writing excuse watching? don’t think I’ll time for this one, really mega busy with coordinating a lot of guest bloggers on my own blog this week! Will hopefully join in next week! Mine’s up http://midlifesinglemum.blogspot.com/2012/01/you-cant-be-mother.html I’ll come back to link to the linky later.